A new study of how Asian Pacific organizations and private enterprises are expanding into markets beyond their national bases by transforming themselves in multinational and transnational directions. It shows how multicultural relations are fundamental to such shifts. It explains the organizational processes that characterize economic restructuring and the transgression of state borders by organizations seeking economic opportunities. It shows how these ambitions require boundaries to be overcome both inside and outside of organizations. This study also details the trend towards fluidity and complexity of boundaries – both physical and symbolic – within and without of organizations due to the speeding up of key processes. This, however, does not imply that boundaries are disappearing. Organizational change always challenges identities and sets new targets for this very identification. Mergers, acquisitions and strategic alliances all generate new organizational forms and necessitate the redefinition and renegotiation of organizational boundaries. 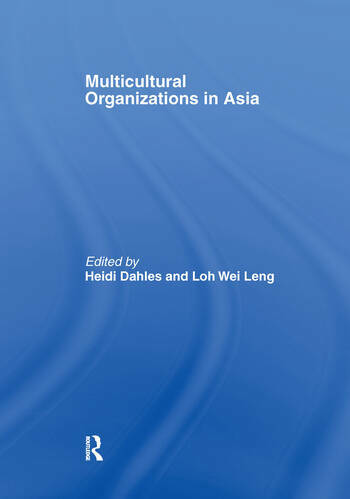 The manifold ways in which organizational boundaries are affected by economic restructuring and at the same time affect social processes within and between organizations, in particular in the context of the booming economies of the Asia Pacific area is the focus of this volume. This book was previously published as a special issue of the Asian Pacific Business Review.